Some years ago, my parents attended a dinner for my dad’s work at one of the nice hotels in Salt Lake City. My parents are very middle-class people who don’t make their way into nice hotels a heck of a lot, so this was a good treat for them. My mother told how she spent much of the evening in awe over the beautiful décor and fine furniture, how lovely everything was. Eventually, she needed to use the facilities, where she again found herself in awe—yes, over a bathroom. It was fancy, with all sorts of amenities and soaps. When she opened a stall, she found it bigger than her own bathrooms at home. Yes, it was a lovely, lovely building. It was only when she reached over to grab some toilet tissue that she realized something. 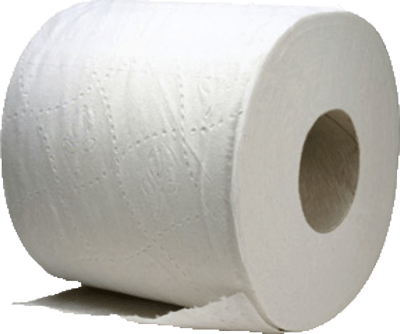 It didn’t matter how beautiful, fine, or fancy the bathroom was when they happened to not have what they really needed: toilet paper. Now, this has become a fun story we like to tell, referring to it indeed as “The Parable of the Toilet Paper”. With this lesson I hope you will find the ability to really think about what is needed by those you minister to. You may or may not be giving the big fancy experience, but are you at least getting them the toilet paper, or in other words, what they really need? In past lessons I’ve talked about different ways you might wish to be ministered to, or different ways you might minister. Today, I want you to consider all those things: things you’ve done, things you’ve pondered and prayed over, things you have received, and start to sort through those as what your sisters really need. When we consider the needs of those we minister to, what is our goal? As I pondered this, several ideas came to me. Should we even have a goal? Is service not enough in and of itself? Surely we’re not serving to just check a box or have bragging rights? But if there is no goal, or no reason to serve, why are we even serving? Such answers to that question might be, we serve because we love our neighbors. We serve because we want to learn to love our neighbors. We serve because Christ did. We serve because it seems like it’s the right thing to do. We serve to build community. We serve to obviously help our neighbors. We serve because someone brought the idea up. We serve because it makes us feel good. I think these answers are good answers, likely even wonderful answers. We do serve for all these reasons and more. But they’re all part of a greater reason. We serve because we want to bring others to Christ. Now, of course this is not in the hurried sort of way. All the answers discussed are part of a road that may be longer or shorter as we bring another person closer to Christ. The Savior said “Come Follow Me” and that word “follow” implies to me so much action and time. No, we aren’t serving others as some sort of bargain of “I will serve you and you in turn will quickly grow in your spirituality and testimony.” But we are emulating the Savior, we are following His example, we are acting upon His Teachings. When we turn the focus to helping spiritually, in now way do I want to dismiss the very real importance and blessings of addressing physical and temporal needs. I sincerely believe that when we help others with temporal things we are in a very real way helping them spiritually. It may be a small way akin to a planted seed, but it’s real. We remember with grateful admiration the men who headed off to rescue those suffering Saints. But what did the sisters do? I love how this story speaks of the very real service to people in great physical need. Service is truly something holy that is meant to not just fix what a person needs fixed, but to stand as a principle of our religion. The title of this lesson is “True Ministers Focus on the Needs of Others”. The pioneers in the story were not in need of those socks and petticoats because they were pretty. Nor did the Saints already settled gather up useless items for their struggling brothers and sisters. They certainly didn’t ignore the admonition as something “sort of nice” or “maybe something another person will do”. When the struggling pioneers arrived, they people continued to serve them. I like to think all parties are blessed when we focus on what each other really needs and how to bring them ever so much closer to our Savior and Heavenly Father. Hopefully, everyone has had a time where they have been served or helped in pretty much the perfect way. You were helped when you most needed it, or you were given just the right thought or support. It’s a great feeling, one that has made me feel closer to my Savior. That is the ultimate purpose of serving someone. They might not recognize a closeness to Christ at that time, but you are introducing or helping build the connection with each little act of service you do that truly meets their needs. Not something that’s ultra convenient for you, or something kind of nice you heard someone else did, but what that person truly needs. Recently in a social media group a woman asked advice on a ministering situation she was involved in. Her question was quite simple and straightforward: The sister she ministered to was so needy this woman was having trouble meeting her needs and was wondering if it was time to kick the sister’s problems up a level for further help. It was a simple enough question, but it did lead to a pretty interesting debate about boundaries, self-sufficiency, and giving our all. I don’t know what the right answer was and I hope the girl that asked it was able to find a solution, but I did become fascinated by the idea of trying to push ourselves in service, an idea that came up several times. I’m sure there are times when you will need more help than you can give (which is why we can report things to our Relief Society Presidency) and everyone needs boundaries, but what happens when we try to push ourselves a little farther in serving others? What happens when we try to be a just a little more selfless? Elder Dallin H. Oaks said the following “Our Savior gave Himself in unselfish service. He taught that each of us should follow Him by denying ourselves of selfish interests in order to serve others. “If any man will come after me [He said], let him deny himself, and take up his cross, and follow me. We were given the instruction to minister to others. Therefore, we are indeed capable of it. When we seek to meet the needs of others, we will be blessed. How can we become more capable of meeting others’ needs? We can reach out to others for help, be it other neighbors, or our families, and of the course others in the church. We can practice increasing our own skills to help serve. Ultimately, it doesn’t matter if we serve in the fancy, “correct” way. Our focus is upon meeting needs. Are we worried about how we go about it? Are we giving them something they don’t really need so we can say we served? Or are we truly focused on meeting needs? What blessings might we receive when we work to lose ourselves in service? How can we serve each other spiritually? What is something that happened that uplifted you? What does it mean to you to find ways to meet needs? What are the spiritual needs of those you minister to? How does assisting those we minister to in spiritual ways help them temporally as well? What are some temporal needs that may need to be addressed before we might be able to focus on their spiritual needs?